Use these items to improve your own message and impact your work. 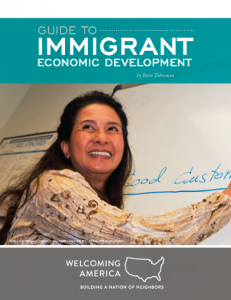 Released at the 3rd Annual Convening in Dayton, this first-ever Guide to Immigrant Economic Development guide captures the practices, strategies and models that can provide a framework for those working in immigrant economic development, and can help them develop their own initiatives based on their local needs and infrastructure. 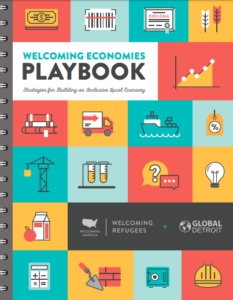 The Welcoming Economies Playbook builds off of years of promising work across the nation to help unlock the economic potential of refugees, immigrants, and community members born in the United States. This playbook is based on and is an update to Welcoming America’s comprehensive Guide to Immigrant Economic Development. 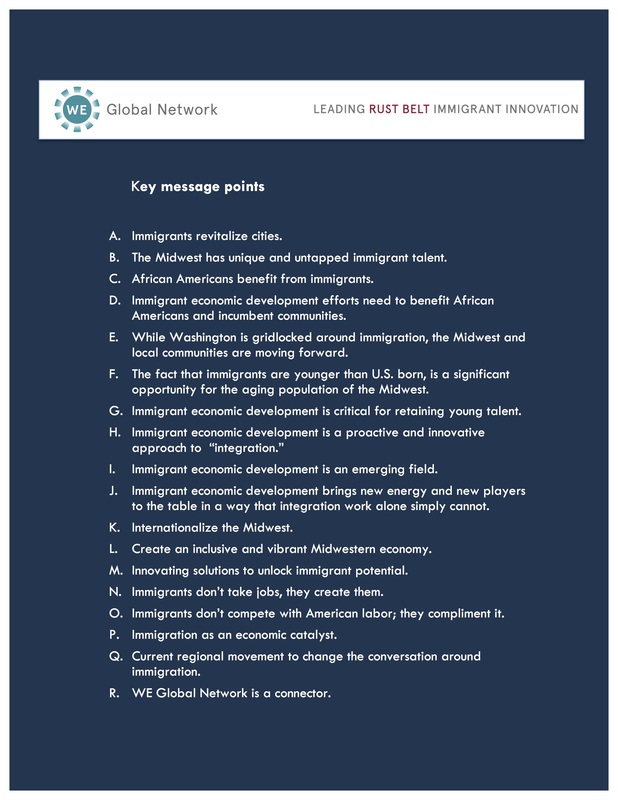 It is designed to be an easy-to-use resource for organizations that work on economic development, refugee services, and other leaders who are advancing economic inclusion and greater prosperity in the United States. 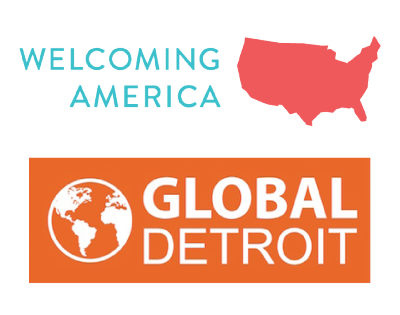 This webinar was co-hosted by Cities of Migration and Welcoming America as part of a Welcoming Economies webinar series. 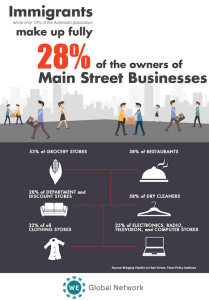 Use these statistics to help make the case for immigrants across the country. Current statistics and case making information. A collection of state and local public policies that further efforts to pursue immigrant economic development strategies. Use these 8 Facebook tips to strengthen your message and outreach, and grow your audience.